Air Seychelles is the national airline of the Republic of Seychelles, with its base at Seychelles International Airport. The carrier operates regional, inter-island services as well asinternational services to South Africa, Europe and Singapore. 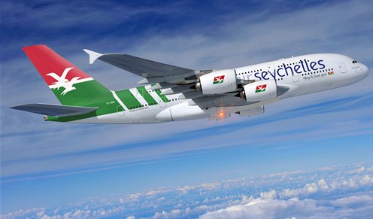 Air Seychelles was wholly-owned by the Seychelles government, until Etihad purchased a 40% stake in it in Jan-2012. It is a great pleasure that we announce that Air Seychelles, the national airline of the Republic of Seychelles, has scooped two coveted accolades at the World Travel Awards 2014, further enhancing its status as the leading carrier in the Indian Ocean region and beyond. The airline was awarded Indian Ocean�s Leading Airline � Business Class and Indian Ocean�s Leading Cabin Crew. In addition, the carrier has re-started its flagship Paris route, revamped cargo handling facilities at Mah� airport, launched a new weekly inter-island domestic cargo service, and given indications it is on course for a third year of profitability. The turnaround at Air Seychelles, manifested through a million US Dollar profit after not much more than a year of partnership with Etihad, Abu Dhabi�s national airline, and marked by a rush of code share arrangements which now sees the HM code carried to more destinations than the �old� Air Seychelles could ever reach, has continued after the results of this year�s Skytrax passenger survey has come to light. 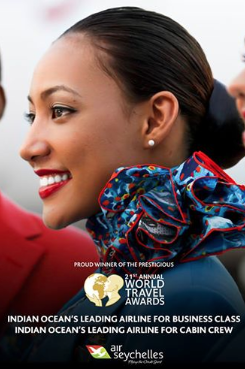 More than 18 million passengers from around the world voted for excellence in the skies and lo and behold, Air Seychelles has made it to a podium finish. Air Seychelles is now ranked as Africa�s second best airline, up by 8 places from last year�s 10th overall position in this category, and the airline�s staff is now ranked as the third best in Africa. In the �most improved� category Air Seychelles came in fourth, and the airline�s global standing is now position 56, up from number 133 in 2012. Cramer Ball, Air Seychelles� CEO, received the news with obvious delight and had this to say: �This is a significant achievement for Air Seychelles and further confirmation that the airline is moving in the right direction. To climb so quickly in the Skytrax rankings in such a short time is evidence of our team�s determination to be the best airline in the Indian Ocean and to fulfill Air Seychelles� vision to be a high quality, profitable airline. The Global Airline Awards are based on traveller feedback, so it is pleasing to see that our customers are recognising the rapid progress we are making towards being the best airline in the region. The results demonstrate our commitment to training, our investment in our people and our product and further demonstrates the value of our partnership with Etihad Airways�. The results will no doubt assist to further underscore the archipelago�s relentless drive to portray the Seychelles as a dream destination in the deep of the Indian Ocean, an experience which can now start as soon as passengers board an Air Seychelles flight from Hong Kong, Abu Dhabi, Johannesburg or Mauritius � and, not to forget, when flying across to Praslin island on one of the nearly 20 daily services from Mahe. Watch this space for regular and breaking news from the Indian Ocean region�s vibrant aviation sector. The campaign for the 2013 Carnaval International de Victoria has hit the United States of America (USA) and listeners of TravelTalkRadio � USA. It was the voice of Alain St.Ange, the Seychelles Minister for Tourism and Culture, who was the guest star on the talk show, TravelTalkRadio, hosted by Sandy Dhuyvetter. The talk show recently moved on their new generation of Internet radio station dissecting a number of niche topics on Seychelles� diversity of culture, food, and most importantly the Seychelles Carnival. In the fifteen minutes and 45 seconds airplay, the Seychelles Minister St.Ange accentuated on the exquisite information about the Carnival to listeners. Minister St.Ange explained that Seychelles� carnival is opened to the world to showcase their own culture and above all their people. Through this latest radio interview, words about the Seychelles Carnival that will be held from February 8-10, 2013 reached worldwide listeners and in so doing boosts the Seychelles� image as an event-based destination. Minister St.Ange�s interview with TravelTalkRadio was the opportunity for the Minister responsible for Tourism to market the Carnival to Americans. He also emphasized that Seychelles remained a unique destination for the hosting of the carnival. �Seychelles is more accessible than never before. Direct flights are accessible from the Unites States via the Middle East to Seychelles and from South Africa and Ethiopia to Seychelles. These avenues are wide open for American travelers to discover Seychelles, the islands that remain the perfect holiday destination for American visitors seeking for a holiday with a difference where an African Safari booked together in a twin-center holiday approach, said Minister St.Ange on air. Passionate with the wonders of the Seychelles islands, TravelTalkRadio host, Sandy Dhuyvetter, took a closer look at the segment of American nationals visiting Seychelles islands through the gateway of Africa. On this note, Minister St.Ange outlined that Seychelles would continue to be the welcomed destination for American holiday makers. Dhuyvelter�s show is broadcast from her studio in Encinitas, California, and it focuses on travel and tourism. The TravelTalkRadio show was aired for the first time ever in 2001. SEYCHELLES (eTN) - The classic song by the Seekers from 1968 came to mind when the Notting Hill Carnival Road Show Company once again had the cat whistles in the air and screams of approval filled the streets of Victoria, being the last highlight and the last in fact to close the carnival juggernaut this year. That song �And the Carnival is Over� started playing in my head just as soon as the Seychelles Red Cross Society�s First Aid float had passed and the streets behind the parade filled with people again. Bigger and better they had promised, and it was a promise well kept as even the normally subdued VIP tent occupants were regularly on their feet as float by float drove by and the groups performed their dances and thrilling shows in front of Seychelles President James Alix Michel, his family, and invited guests which included President Didier Robert from La Reunion, Vice President Foure, former Seychelles President Sir James Mancham, members of the Seychelles cabinet, members of the Diplomatic Corps, and the who�s who in Seychelles society. Twenty floats put together by groups from abroad, spanning the globe from Brazil to China, the United States to Russia (with love no doubt), from Bali to Zimbabwe, and from India to Italy to name but a few. The streets were lined with Seychellois and foreign visitors standing several deep on the sidewalks, and those with the wish to see better, found vantage points on rocks and trees, peeping over perimeter walls and out from behind fences to be sure they did not miss a single beat, as the parade made its way through the center of Victoria. Going by the reaction of the crowd, the top three floats and performing groups came from Brazil, Mauritius, and Notting Hill, though the judges may be good for another surprise yet as especially the local floats showed immense improvements compared to past years, and the dance routines were visibly improved and well rehearsed, as carnival experience took root. Colorful costume creations, well chosen music, and, of course, dance routines and performances showed that the �carnival of carnivals,� the Carnaval International de Victoria, has come of age with the third edition and is here to stay, becoming a magnet for all carnival nations and carnivalists from around the world wanting to participate in Africa�s number one carnival show which brings everyone together regardless, as Minister St. Ange said in his launch address, of religion, politics, race, and creed. The world was united in Victoria, as in particular the participation of Zimbabwe as a co-host showed, affirming the Seychelles� general policy of being on good terms with everyone, and better, being friends with everyone who wants to be a friend. Notably, two navy units from India and Russia, took part in performing a traditional march past, with the Russians performing their goose step routine and stealing the show. The two units were coming from their naval ships on visit to Victoria port for some well-deserved R&R from their duty with the international coalition against ocean terror by Somali pirates. They got plenty of applause and for a good reason as the people of the Seychelles know their friends who help keep them safe and appreciate them, no matter from where in the world they come from to extend a helping hand. The mastermind of the event, now Tourism and Culture Minister Alain St. Ange, could not conceal his broad smiles, and neither could the team around Elsia Grandcourt, Chief Executive of the Seychelles Tourism Board. The rainclouds remained zipped up throughout the parade, and the tourism headswere complimented by President Michel and those assembled outside the Ministry building where the VIP tents had been put up. �And next year it will be bigger and better and more global again as you will see,� was his instant comment when Minister St.Ange was asked how he felt about this year�s performance. A separate interview with Minister St. Ange will be published here in due course, but for now, congratulations are in order to everyone involved in making the �carnival of carnivals� such a roaring success, especially those often-overlooked enthusiastic individuals from the Seychelles Tourism Board and their countless colleagues from the hospitality and tourism sector, the Seychelles police force who behaved at their Sunday best and were a credit to the country, the Red Cross, and all the volunteers. Thank you for the splendid hospitality, the opportunity to see behind the scenes, and the open access to all and sundry once again, showing the Seychelles have nothing to hide. Until next year for Carnival 2014 when we shall meet again. The annual World Routes meeting in Abu Dhabi, the most important global event to bring airlines, airports and related service providers together, ended yesterday in the capital of the United Arab Emirates with a big bang for the Seychelles, which got recognized for their tremendous efforts in promoting this event, and back in July the Routes Africa meeting held on the archipelago�s main island of Mahe, which broke all prior attendance records for the Africa conference. At the gala dinner, in front of over 2.500 guests from around the world, was Seychelles announced the winner of this prestigious award, ahead of several other fancied destinations. The Seychelles delegation was led by the Minister for Tourism & Culture, Alain St. Ange and comprised the Chairman of the Seychelles Civil Aviation Authority Capt. David Savy, the CEO of the Seychelles Tourism Board Elsia Grandcourt, senior marketing executive Amy Michel and STB�s copywriter, accomplished author Glynn Burridge. They were all present when collecting the coveted tourism prize in recognition of the Seychelles Tourism Board�s excellent track record in recognizing the importance of the golden triangular approach of airlines, aviation authorities and tourism boards in advancing tourism. Seychelles was also recognized for its innovative marketing and public relations approach, which in past years has turned into an unstoppable juggernaut of media attention and marketing blitzes around the world, promoting a truly unique product. Seychelles,truly Another World. The French Ambassador to the Seychelles met with key stakeholders who are partners of the regional cooperation agreement between Seychelles and the La Reunion Island. The meeting, chaired by Mr. Phillipe Delacroix, the French Ambassador accredited to Seychelles, was to activate the setting up of a steering committee whereby the partners of this cooperation in the fields of tourism , culture, sustainable and economic development, education , youth and sports , and health and social development could outline their priorities in terms of national and regional projects. In addition, this steering committee will coordinate and oversee the smooth running of these projects. The Seychelles Minister for Tourism and Culture, Alain St.Ange, personally attended this meeting with the Chief Executive of the Seychelles Tourism Board, Elsia Grandcourt, and his special advisor to the Ministry of Culture, Raymonde Onezime. In terms of the tourism cooperation between Seychelles and La Reunion island, Minister St.Ange has detailed the Seychelles Tourism Board project to send one of its representatives to La Reunion and that La Reunion Tourism (IRT) was considering doing the same in a bid for each island to work on consolidating the islands existing cooperation. 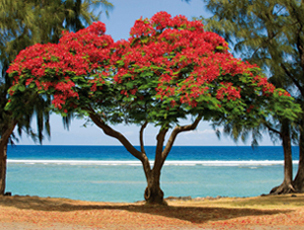 Seychelles, being part of the concept of the Vanilla Islands in the Indian Ocean, has grown close ties with IRT, the office of Tourism in La Reunion. Minister St.Ange has also brought forward the project of the Seychelles Tourism Board to increase the number of its online promotional articles about the Seychelles in the French language. Minister St.Ange explained to the French Ambassador that the Seychelles Tourism Board�s news are disseminated through the online news medium in English on eTurboNews (eTN), and on different online tourism sites. Among many proposals relating to cultural cooperation between Seychelles and La Reunion island, there�s also a proposal to invite La Reunion artists to the Seychelles. The SADC and RETOSA meetings in Mauritius this week was an opportunity for Seychelles and Zimbabwe to speak with delegates and press of major tourism events coming to Africa. The world is still reliving the successful FIFA World Cup that was held in South Africa, which did Africa proud, and the world has just witnessed the closing ceremony of another successful annual Carnaval International de Victoria hosted this year by Seychelles and La Reunion and as usual held in early March in the Seychelles. Such world-recognized events are positioning Africa firmly on the traveling routes of holiday makers from far and wide. In July 2012, Seychelles was chosen to host Routes Africa, and in August 2013, Zimbabwe and Zambia will jointly be hosting the UNWTO General Assembly. Both these events bring the world to Africa, and both these events require Africa to showcase itself as proud hosts. Minister Alain St.Ange, the Seychelles Minister for Tourism and Culture, spoke about the Routes Africa forum that will be held in Seychelles from July 8-10. Minister St.Ange said that the Routes Africa 2012 forum in the Seychelles will bring airlines, civil aviation authorities, and tourism boards together to see how the challenges facing the world of aviation and tourism can best be tackled. Alain St. Ange said: �The world economics is changing fast, the aviation climate has changed, and it is so important for everyone to meet and discuss the situation on hand instead of throwing in the towel. Cooperation and the spirit of working together is today more important than ever before. �Seychelles is hoping to work with the Routes organizers to add a new dimension to Routes Africa this year. Cruise ships bring to Africa more and more the possibilities for fly-cruise tourism, and this is dependent on good air access. Dr. Bradah Maunganidze, the Permanent Secretary for the Zimbabwe Tourism and Hospitality Industry Ministry, spoke about the UNWTO General Assembly, which will be jointly hosted by Zimbabwe and Zambia. �The waterfalls of Zimbabwe and Zambia will be the backdrop of this world tourism event. We are leaving no stones unturned as we prepare to welcome the world of tourism to Africa. Our continent has it all, and this coming UNWTO will be another unique opportunity to showcase a world treasure to delegates joining the next UNWTO General Assembly, which will be held from August 24-29, 2013,� said Dr. Bradah Maunganidze of Zimbabwe. The success of these important events depends on Africa uniting behind the events. The FIFA World Cup in South Africa was the success it was because Africa stood behind South Africa, and this is why both Seychelles and Zimbabwe were out to tell Africa to join hands for the two back to back tourism events that will be held in Africa in 2012 and 2013. As we focus on events preceding and following Africa Travel Magazine's exciting EcoTourism 2001 Edition and Symposium, we are pleased to report that the Seychelles Islands group is in the forefront in terms of conservation of land, culture and wildlife. While I have praised this beautiful part of the word to friends far and wide as a 'dream destination,' most travelers have yet to experience its pleasures. I will describe some of my personal, experiences and provide recommendations on local hotels and attractions later on this site and in our magazine. The Seychelles Archipelago, located in the Indian Ocean east of Kenya, has an fascinating history and culture. French is widely spoken, and the Seychelles is part of La Francophonie (see my item on this site). The area includes 42 granite islands and 73 coral atolls, with tourism centered on the more easily accessible granite islands-especially Mahe, Praslin and La Digue. The latter are covered in lush tropical vegetation and are ringed by pristine white sand beaches. Here is some current information courtesy of the World Tourism Organization, who partnered with ATA at a World Tourism Congress in Accra, Ghana (1999). Hon. Simone Conaramond, (right),Minister for Tourism and Civil Aviation Profile requested. Conservation of the Seychelles' natural and cultural resources has been a cornerstone of tourism development on the islands. No buildings may be higher than a coconut tree, hotels must submit Environmental Impact Assessments, and great care has been taken to develop architecture harmonious with the landscape-all measures based on the islands' first Environmental Management Plan. The Seychelles boasts hundreds of unique tropical plants and some of the planet's rarest birds. It has two Unesco World Heritage Sites: the Vallee de Mai on Praslin island-the world's only forest of coco de mer palm trees, with coconuts shaped like a female pelvis; and Aldabra, the world's largest coral atoll and home to 150,000 giant tortoises. With nearly 50 per cent of its territory declared national park, wildlife reserve or protected area, the Seychelles is one of the most environment-friendly countries in the world. But its new Environment Management Plan for the first time includes a section on tourism taking conservation even further. The first step was the creation of the public-private Seychelles Tourism Marketing Authority (STMA), which depends on the government for funding but operates autonomously. Its work is supervised by a 12 member advisory board, including two government representatives and ten from the private sector. "STMA was created to reposition the islands, revamp the products, revamp the industry and provide the destination with a marketing structure" says CEO Francis Savy. "Moving the marketing function out of the tourism ministry has put us in a position to be more proactive and adapt better to the needs of the market." "Tourism has become a mainstay of our national economy and basically what we have to offer visitors is our natural beauty," said Seychelles Tourism Minister Simone de Comarmond. "So the second generation 2000-2010 EMP identifies ecotourism development as a national priority and includes stricter measures for enforcing and implementing existing standards. Other goals of the plan include reducing the negative environmental impacts of tourism, especially waste disposal; promoting sustainability; and capacity building in environmental management techniques within the tourism sector.